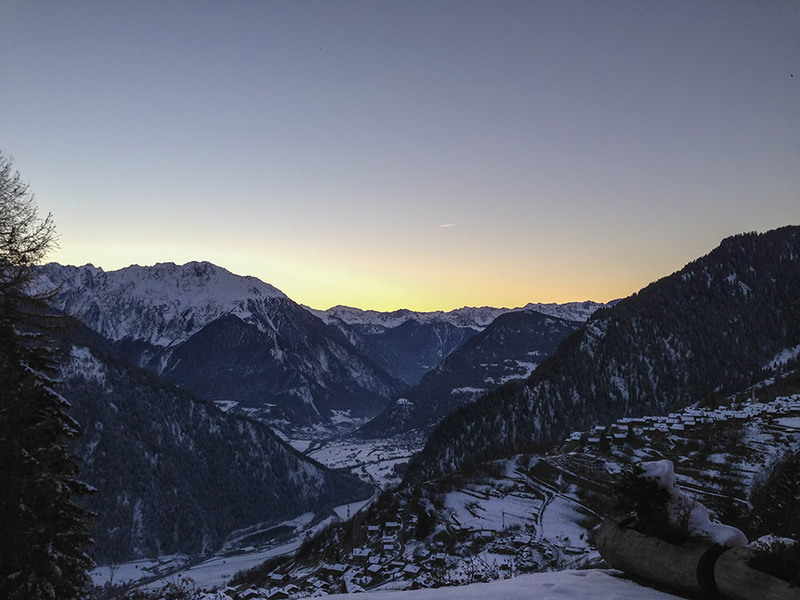 Each month JON (aka WESTY) AT ALTITUDE VERBIER & FREERIDE VERBIER writes for the UK’s most read ski magazine ‘inthesnow’. 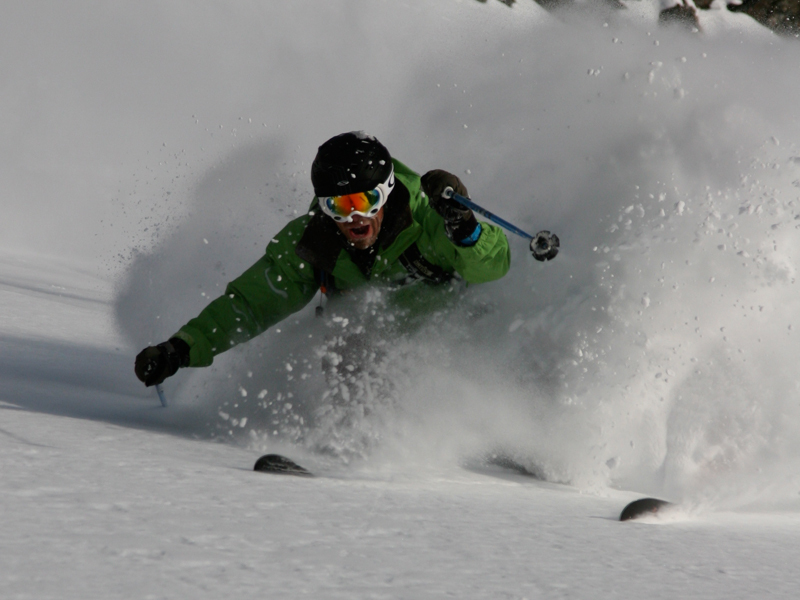 This month he is looking at a few tips to help you ski variable conditions.. 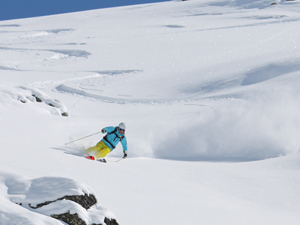 The snow has arrived early this season, so this month in anticipation of some epic powder and variable snow conditions, Jon looks at some of the skills required to enable us to ski in these types of conditions. On a groomed regular piste the snow below us can be quite predictable and constant. Off-piste and in variable conditions things are different, they are constantly changing and we are required to be super prepared. As in all the areas of skiing where you balance gets tested i.e bumps, off piste etc, having a strong core so you don’t get thrown off balance is vital, and nowhere is this more important than in variable conditions. This can be trained well before you arrive on holiday and will really help you to enjoy the challenging conditions that you will hopefully experience this winter. Tip: If the conditions look variable try keeping a bit of tension in your core before you set off and maintain this as you ski down. When you are challenging yourself and optimizing your performance skiing can feel like a series of linked recoveries! When skiing in the variables this can feel especially true. The art of recovery is an important one. This is something you will develop with time and practice but always try to fight to stay on your feet, even if it feels like a battle inside. Tip: Variable conditions are challenging to the best of skiers and I can assure you, even though it may not look like they are working hard they definitely are!!! Being able to predict ahead of time what the snow is going to feel like and how to react to it will help your skiing improve tremendously and have much better “flow”. Experienced skiers are at an advantage because they have the knowledge to help them make decisions ahead of time rather than always reacting to what they find. Tip: Make sure you are always looking ahead and not at the front of your skis so that you can see that patch of ice, powder or crud and be ready for it, or avoid it if necessary. Keeping a good rhythm between turns is something that will always help make things ‘click together’ especially when on challenging terrain or slopes. 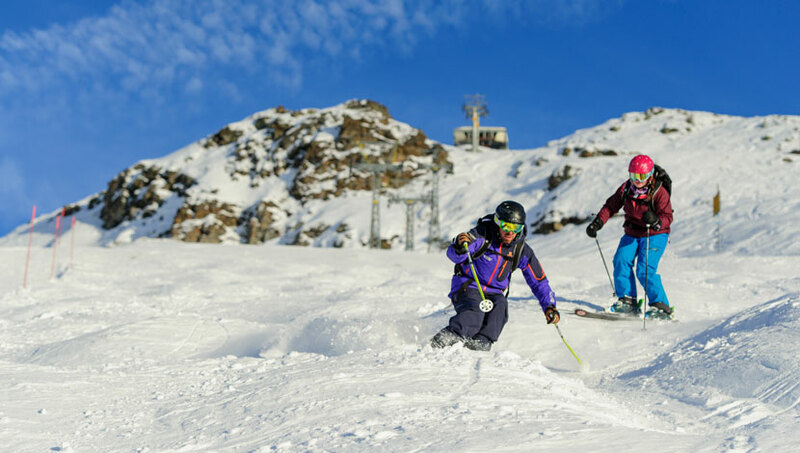 Prior to setting off try tapping the rhythm of your turns with your ski pole in the snow. Then as you set off down the run try to stick to this rhythm for all of your turns. Tip: A strong and accurate pole plant is crucial to enable you to ski with ease and keep good rhythm as you descend the slopes. Enjoy!